Viddora is primed to go one better than a year ago in the Group One Moir Stakes. Trainer Lloyd Kennewell is confident stable star Viddora is primed for her first-up tilt at the Moir Stakes as she bids to go one better than last year in the weight-for-age sprint. Viddora was taken to Moonee Valley for a solo work-out on Monday morning and did everything Kennewell wanted to see building up to Friday night’s Moir (1000m). “I think she’s in really good order and she’s ticked every box for mine up until now,” Kennewell said. The Darren Weir-trained Nature Strip broke the 1000m-course record at the Valley last start when he won the McEwen Stakes and he was the $2.40 favourite in an all-in market on Tuesday for his first Group One test. Houtzen, who got close to Nature Strip in the McEwen, was at $7 while Viddora was on the next line at $9 along with in-form Ball Of Muscle, Brave Smash and Voodoo Lad. 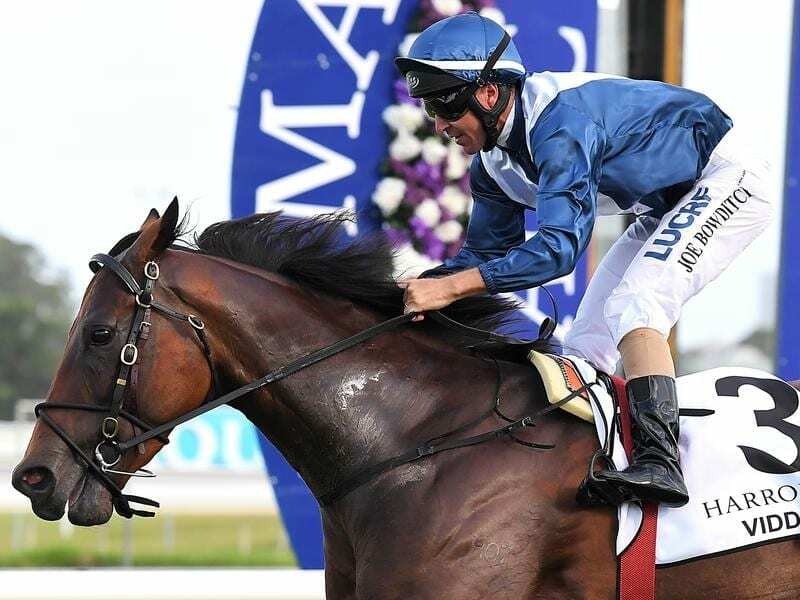 In the 2017 Moir, Viddora was beaten in a photo-finish by She Will Reign and got her first Group One win later in the year in the Winterbottom Stakes in Perth. She could give Kennewell his first Group One win since setting up a Melbourne base at Caulfield at the start of this season. “It was one of those things, obviously the photo didn’t go our way last year but I think she’s pretty similar to last year,” he said. With plenty of pace expected in the Moir, Kennewell is hoping Viddora can have a trouble-free run and finish powerfully. “We know that there’s plenty of horses in there with plenty of speed so it’s just a matter of us hopefully drawing a reasonably nice barrier, getting as good a run as possible and having no bad luck,” he said. “And I think she’ll be right in the finish.